Today, European biomedical and health-related research is insufficiently well funded and is fragmented, with no common vision, less-than-optimal sharing of resources, and inadequate support and training in clinical research. Improvements to the competitiveness of European biomedical research will depend on the creation of new infrastructures that must be dynamic and free of bureaucracy, involve all stakeholders and facilitate faster delivery of new discoveries from bench to bedside. 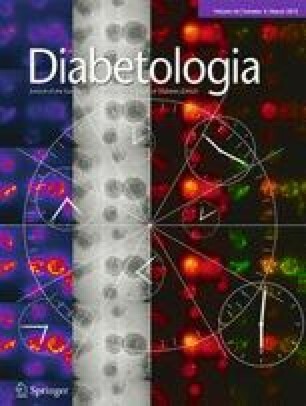 Taking diabetes research as the model, a new paradigm for European biomedical research is presented, which offers improved co-ordination and common resources that will benefit both academic and industrial clinical research. This includes the creation of a European Council for Health Research, first proposed by the Alliance for Biomedical Research in Europe, which will bring together and consult with all health stakeholders to develop strategic and multidisciplinary research programmes addressing the full innovation cycle. A European Platform for Clinical Research in Diabetes is proposed by the Alliance for European Diabetes Research (EURADIA) in response to the special challenges and opportunities presented by research across the European region, with the need for common standards and shared expertise and data. Europe is falling behind its traditional competitors in biomedical and health-related research, the USA and Japan, as well as facing increasing competition from newly emerging countries such as China. Lack of co-ordination, inadequate funding (relative to gross domestic product [GDP]) and the complexities inherent in any activity across several countries, each with different commitments and local regulatory constraints, have combined to handicap the European biomedical research enterprise. Although research funding is notoriously difficult to estimate precisely, evaluation by the Organisation for Economic Co-operation and Development (OECD) for the years 2007–2009 concluded that the average funding for research in the USA was around twice that of the European Union (EU) ($31 billion vs $17 billion per year) . Despite repeated commitments from the European Commission , European investment in research is still woefully short of the Commission’s own target of 3% GDP, and much lower than in the USA or Japan . Best estimates for funds devoted exclusively to diabetes research in 2008 in the USA and Europe suggest a similar disparity (USA $1,080 million ; Europe €323 million ). Clinical research is obviously a key component of translational research, embracing all studies on living individuals as well as safety and efficacy studies on new therapeutic molecules. Despite the impressive history of clinical research in Europe, with major contributions to our understanding of diseases and the development of innovative therapeutic approaches for their treatment, the situation today is worrisome. As always in times of financial constraint, health and education, including research, will be among the first to suffer from budget cuts. Indeed, at the time of writing there is political uncertainty surrounding the budget for Horizon 2020 (the EU Framework Programme for Research and Innovation for the period 2014–2020) with the serious risk of a substantial decrease in overall funding. National funding of research will certainly also suffer in many European countries. We must therefore find new ways to make biomedical research in general, and clinical research in particular, not only more cost-effective but also more competitive, offering more to society in return for investment, while allowing equal access to high-quality clinical studies for all citizens in Europe. Clinical research is undertaken both by academia and the pharmaceutical industry, albeit generally for different reasons. Faced with increasingly challenging demands from regulatory agencies and the spiralling costs of clinical studies, pharmaceutical companies would also benefit greatly from any common infrastructure that offered greater efficacy and improved co-ordination of clinical research. Strategic planning across disciplines and involving all major health stakeholders is required to enable the realisation of the EU’s ‘Innovation Union’ initiative . This aims to create an environment in Europe that supports the translation of novel ideas into products and services, can generate growth and jobs, and improve well-being. Biomedical research represents an outstanding example of research-driven innovation that can promote future growth. For the first time, the European biomedical community has come together as an ‘Alliance for Biomedical Research in Europe’, which already represents 21 major health research organisations and around 250,000 scientists (www.biomedeurope.org/). The BioMed Alliance is calling on EU and national decision-makers in Europe for urgent action to help science achieve true innovation that can create a healthier and more prosperous environment for Europe’s citizens. The BioMed Alliance is forcefully promoting the creation of the European Council for Health Research (EuCHR), which can provide the best scientific leadership to EU programmes in health research and will bring together and consult with all health stakeholders. The overall goal is to accelerate research in the biomedical field in Europe through long-term strategic research programmes capable of triggering multidisciplinary partnerships and addressing the full innovation cycle. As shown in Fig. 1, translational research (‘from bench to bedside’) involves three major levels of research (Fig. 1, black), with multiple performance sites (Fig. 1, red) and both public and private sources of funding (Fig. 1, blue). The EuCHR would allow for co-ordination of this complex enterprise that is presently missing in Europe, thereby speeding delivery of new drugs to patients while making this more cost-effective. At the time of writing the EuCHR is being discussed with the European Commission Directorate General for Research and Innovation and key members of the European Parliament. It is hoped that this council can be established to coincide with the Horizon 2020 programme. The DIAMAP project, a roadmap for European diabetes research, was supported by a grant from the European Commission Seventh Framework Programme (FP7) and submitted its report in 2010 (full report and a summary brochure at www.diamap.eu ). A major recommendation was to create a European Platform for Clinical Research in Diabetes (EPCRD). Although focused on a single disease, the fact that diabetes, together with its macrovascular and microvascular complications and comorbidities, is of common interest to most members of the BioMed Alliance makes the concept and rationale for such a platform directly in line with the major goals of the EuCHR; indeed, the EPCRD was used as one of only a handful of examples in support of the BioMed Alliance’s White Paper on the creation of the EuCHR. The Alliance for European Diabetes Research (EURADIA; www.euradia.org), the coordinator of DIAMAP, intends to promote the development of the EPCRD. The DIAMAP road maps repeatedly mentioned as roadblocks the need for registries of people with diabetes, networks of specialist researchers, access to biobanks and human biological material (especially in relation to the rarer complications) and more standardised evidence-based treatment guidelines. Lack of political and public understanding of biomedical research and its importance to society was also cited as a roadblock, with the recommendation for better education leading to greater involvement of people with diabetes in clinical research; their support is essential and offers a significant opportunity for transparency in determining how diabetes research budgets are spent. The EPCRD will for the first time in Europe offer equal access to clinical research to all people with diabetes, across all traditional borders of language, culture and education. It was further felt that diabetes research would be enhanced if the clinical research community itself could drive a collaborative initiative as it deals with the consequences of research on treatment and care delivery. EURADIA is hoping to create the platform in 2013 and will support a research project to test the system before it is made available to all stakeholders as a fully integrated component of a new landscape for European clinical research (Fig. 1). There is an urgent need for an umbrella organisation to oversee and coordinate biomedical and health-related research in Europe. This organisation would ideally be independent of European and national funding agencies but supported by them and fully integrated into a truly regional research operation. We believe that the EuCHR, as proposed by the BioMed Alliance, would satisfy all these requirements, offering in return to the European Commission, national governments and most importantly the citizens of Europe, a healthier future thanks to more effective translational research and improved return on investment for society at large, with more jobs and greater innovation. The proposed EPCRD would be just one activity of the EuCHR among many others, serving as a model for all disease areas. This new paradigm for biomedical research in Europe, taking diabetes as the model case, will only become a reality if it receives proactive support from all stakeholders. Researchers, health professionals, private enterprises, non-governmental organisations and, last but by no means least, people with diabetes and their families, should advocate at the local, national and regional levels to ensure that there will be political and budgetary support for the creation of the proposed infrastructure. The EASD, a founding member of both the BioMed Alliance and of EURADIA, and its foundation (the EFSD), the leading pan-European diabetes research funding agency, are uniquely well placed to promote this bold new action plan. Andrew Boulton is President of the EASD and the EFSD; Philippe Halban is Chairman of EURADIA and Honorary Chairman of the EFSD; Ulf Smith is President of the BioMed Alliance and Chairman of the EFSD. Any opinions expressed here are those of the authors and do not necessarily reflect those of their respective organisations. All authors contributed to the conception, drafting and final approval of this article.